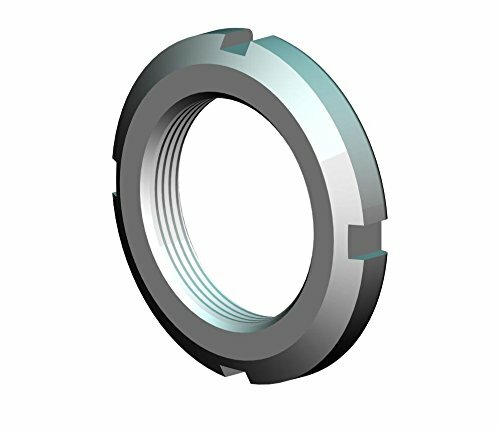 Whittet-Higgins shaft locknuts for bearing & power transmission assemblies function by mounting a keyed and tanged shaft lockwasher between the bearing or other power transmission component and the corresponding locknut. The locknut is mounted and torqued up the shaft forcing the lockwasher forward until the desired preload and assembly seating is established. The locknut is rotationally adjusted to have the nearest slot and tang aligned; then the tang of the lockwasher is bent into the slot of the locknut which prevents the power transmission components from disassembling during operation.